Maybe E! leaked the news too soon and Dior wasn't ready to announce yet? We'll wait and see. God, this is so unexpected...and so wonderful...and cute, that I can even begin to tell you. Congrats Rob. so proud and happy! :DDDDDDDDDDDDDD amazing news! I'm not ill speaking of him, but is he perhaps changing his views? He doesn't seem the type to want to put his name and face to a product to endorse/promote it. Or being loyal to one specific "brand." Also, is this going to be HIS fragrance or is he just doing the campaigns for it? Big difference. He's not selling himself...he's selling a product....just like when he promotes and "sells" movies.. He is selling his image to sell a product. They go hand in hand. Not that's anything wrong with it. It seems slightly weird coming from him because they were people who often made a point disassociating himself from these types of celebrity behaviors. Business is business though. Jeah, Joan that's true. And really weird, because there is his image in news yet, that he is doesn't shower. So that is would really weird for those news... Anyway, he does what he does, and we like if we like. If not, we would find another someboy whom could be adored. :) This case is not why I'd abandon him. I will follow his carreer, and if he did good films, than I will be his fan. If not...The world is big, there are always new musicians/ctors/sportsmen-women whom should be adored. I take issue to your deleting comments that "bash Rob". Rob himself wants to see criticisms, whether negative or positive. He is bored with the glowing comments about his looks, so am I. I never did comment about his looks; He enjoys the negative comments because they teach him something. As long as the comments are not verging on being obscene or trashy or very cruel, I would think it is okay to publish them. I would have liked to see those negative comments re this endorsement. So does Rob, I think. They are called FEEDBACK from fans. Mandy, I didn't bash Rob. I just said he changed his mind. In a 180 degree way. He said he would never sell anything like this... And just a sentence.. If you make promo for a film, you sell yourself as an actor. If you give your name and face to a advertisementm you are no an actor than... He said it, in 2008 or 2009. Not me. I do not see the issue with Rob being the face of a fragrance by DIOR, I don't know if some of you TRULY understand what it means that a brand such as DIOR, decided to "bet" on Rob, to believe he'll still be here in 3 years, that he has enough class to represent a timeless brand, to join mean such as Jude Law, Brad Pitt! Women such as Portman, Theron, Cotillard,... it means he's IN, it means he'll be more than the Twilight guy! he's making incredible choices for his future movies projects, bold choices,...and he has an image to maintain and what's best than to do so with DIOR?? and about the all, "he changed his mind" as we are used to say in France "il ya que les cons qui changent pas d'avis"= only dumb people do not change their minds! he has an open mind, he saw an opportunity for his image, for him to be associated with an incredible brand, he took it! PROUD OF HIM!!! I think that lately differing opinions have been confused with (or taken as) bashing and hate. I find myself feeling a little bit of annihilation toward fans that share "unpopular" opinions... which is sad because, ultimately, we are in this together. Even if we have different views on things. yummiesfan: I think Rob is learning to separate his personal image from his professional image. I think that in the beginning he came into this career with certain ideas and expectation that have change. As you say, there's absolutely nothing wrong with change. The fact that he has always was so vocal about his previews views is what makes the "changes" more evident. It's just an observation. A factual observation. I don't think the fans that take notice of that change are meaning to say it in a bad way. WOW! 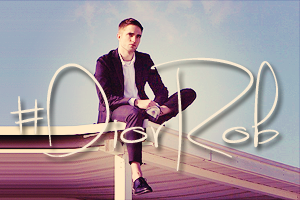 !..Robert Pattinson and DIOR! !..a Fabulous Very Classy Combinations!! 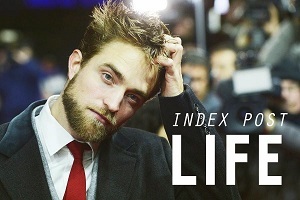 !I'm so happy for Rob..he deserves this success!! !..we should Toast and should be cheering Rob for this amazing oportunity...we have to accept that Rob is no longer that young naive 21 yr old young man way back in 2008...like any normal young person,he has evolved,his views and his opinions has changed...he is adopting to where he is at the time of his life now and it seems he is doing very well as an in demand A list Hollywood actor!..now for those fans that are not happy with this and saying that they are not going to be his fans anymore because "he is selling himself"...well..Rob would probably say...Good Riddance! !...Mandy...it's your blog ...thank you for reminding people to be respectful to the man this Blog is dedicated to...Robert Pattinson! I think some fans take Rob image too seriously, he seems to be different I get it, but we need to remember he's part of Hollywood and this is what Hollywood is about. I don't think he's selling out, I think he has a clearer view now on what it's important to him and what it's not. Anyway I thought he would be totally immersed and focused in his career as an actor, especially now that Twilight is going to be over, therefore this choice has been quite a surprise, but it's a classy choice which will provide him a great deal of money. This is fantastic news. Congrats Rob...wish you success and happiness. This could even help Rob make movies that he really wants to do. So so so happy for Rob. Cute how some of you think to tell the blog admins how to run their blog. It's THEIR blog. It's not done for money so the hits don't matter. It's done for love of Rob and interest in his career and done at a huge sacrifice of personal time. I, for one, VERY much appreciate that they don't tolerate the stupid comments I see everywhere else telling Rob how to run his life like his fans own him or even KNOW him. It's ridiculous. I love that he's branching out and can't wait for this campaign. Just thinking of the pics alone makes me so happy. I'll be buying it. Maybe I'm wrong, but I think the deal is going to happen, it is just that someone talked to soon. You deserves to have only the best associations. Dior is one of those. Good luck! Wait for your new roles. When little girls see, that there's a Woman in the movie, who has a similar age, the like it An increasing number of. So, we think, that http://insideoutgames77.com/inside-out-thought-bubbles/ are going to be favored highly! The finances of Inside Out was $a hundred seventy five million, but authors commercialized far more, than that they had invested! They may have acquired $856.one million from income in all over the entire world. From that we can recognize, that this movie attracts every single people, it doesn't matter they will be Lady, or boy, teen or mature. The individuals like Inside Out Game titles as well, not surprisingly. The film has obtained this kind of a fascinating Tale, that non ofit's watchers will remain indifferent just after observing it. In it we can easily see the thoughts, which have acquired All and sundry. This can be just a good looking story, that has bought extremely popular everywhere in the globe. This movie appeared in gaming field in 2015 also. Our administration has preferred the very best of those Inside of Out Video games and geared up it for you! I believe, these game titles will make film Progressively more well-liked.